Hello, I’m KANON. I enjoy doing cosplay in my leisure time. Thank you for coming to my page. 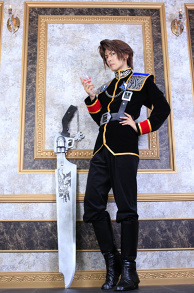 This is cosplay of Machina Kunagiri from FF Type 0. It makes me cry to think of how he plays a thankless role in both the game and novel. The prop for this picture was a little lost chocobo. I created a warm scene in which Machina and the other Type 0 members found this lost chocobo and went to return him to his parents. I also made three other ones not counting this one. 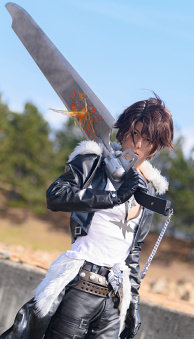 This is cosplay of Genesis from Crisis Core FFVII. 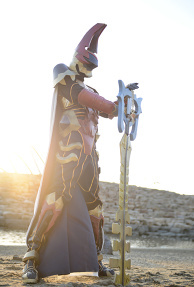 I remade the handle on the rapier for this photoshoot. I made fake fire because I wanted to convey the scene in which Genesis saves Sephiroth and Angeal from the fire. 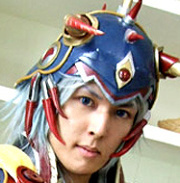 This is cosplay of Firion from Dissidia Final Fantasy. I like the warmness of Firion, whose wish is for a peaceful world filled with blooming roses. I also like the simple believability and pureness of the characters from FFII. 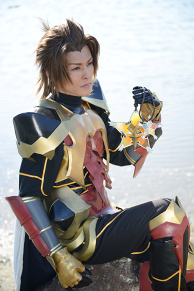 I made seven weapons for this photoshoot. It took a lot of time. 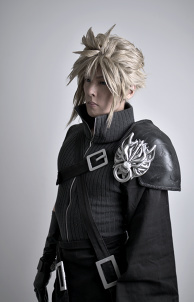 This is cosplay of Warrior of Light from Dissidia Final Fantasy. Warrior is a cool character who pushes forward once he sets his path and isn’r;t fooled by the invitation of his enemies. 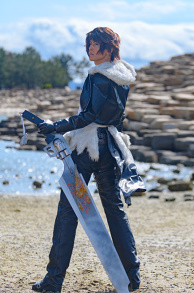 I have loved FF for a long time, and I challenged myself to make a costume of FFI’r;s Warrior of Light as he appears in Dissidia. I made the costume to match that of the EX mode design on the FFI package. For props, I made the crystal and dragon that also appear on the FFI package. 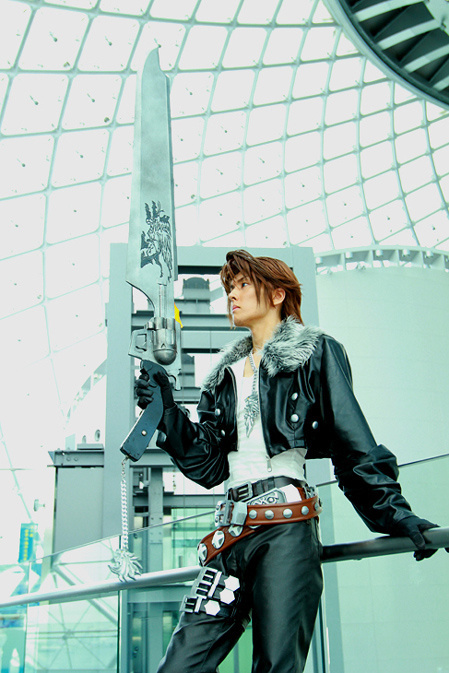 This is cosplay of Tidus from FFX. 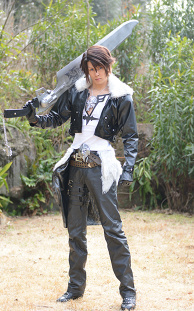 FFX deals with the power of dreams and thoughts, existence, reunion, bonds, and salvation. For props, I made a blitzball and shield. I also made the Fraternity sword and a sphere, but they are not shown in this photo. 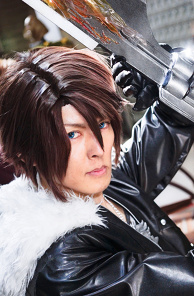 I enjoy creating costumes and cosplaying as characters from works that I like. I especially like Final Fantasy, Kingdom Hearts, and Macross Frontier. 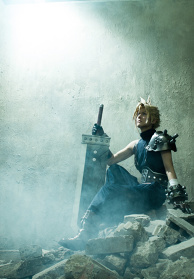 My hobby of cosplay began with Final Fantasy VII. As much as I can, I create my own costumes and moldings.I try to present characters from works that I like, including costumes, weapons, and props, in my own special way.